Bombay has become increasing developed over the last couple of years with skyscrapers, office buildings and malls popping up around every corner. Shopping in Bombay is any consumer’s paradise with incredible prices on all items like jewellery, antique goods and clothing. The best chance for you to get the greatest bargains is along the roadside Bombay markets. The areas surrounding Bandra like Linking Road and Hill Road is always saturated with eager touring shoppers. However there are also various malls offering not only shopping delights but also facilities where you can spend some time and have fun with your whole family. High Street Phoenix was redeveloped and used to be a cluster of textile mills. What really makes this mall stand out is the ritzy Sky-zone shopping space. The mall offers something for everyone with any budget with cheaper retail stores to premium international and national stores. Atria Millennium Mall has everything from luxurious products to all the big designer brands you can think of. It has a total of five levels in is truly a dream come true when you want to go shopping in Bombay. The InOrbit Mall is has a whopping 1.2 million square feet of space with shops ranging from international stores, Australian bakeries and local Indian clothing stores. The top floor is entirely dedicated to entertainments and restaurant areas with conveniently situated and safe playing environments for your children. The Oberoi Mall is situated just off the western express highway and is known for its central atrium that creates a relaxed and open environment. The Infiniti Mall is slightly smaller than the above mentioned malls but also offers a sufficient amount of stores that will guarantee a fantastic shopping experience. Bombay has some of the most beautiful landscapes and outdoor environments to enjoy and admire, but for those who also love shopping in Bombay will certainly be satisfied with what’s presented to them. 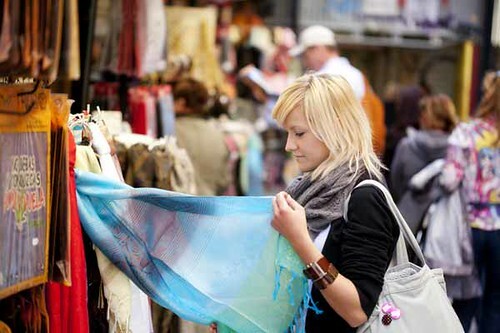 Ready to book your Bombay Shopping experience? You can also call us on 0860 400 727 – or send us an online enquiry telling us exactly what you want!